Cambodia tours are the perfect way to see some of the highlights of this Asian country, including the temples of Angkor Wat and the floating villages of Tonle Sap. Phnom Penh is the capital and largest city of Cambodia located on the Tonle Sap, Mekong and Bassac rivers. 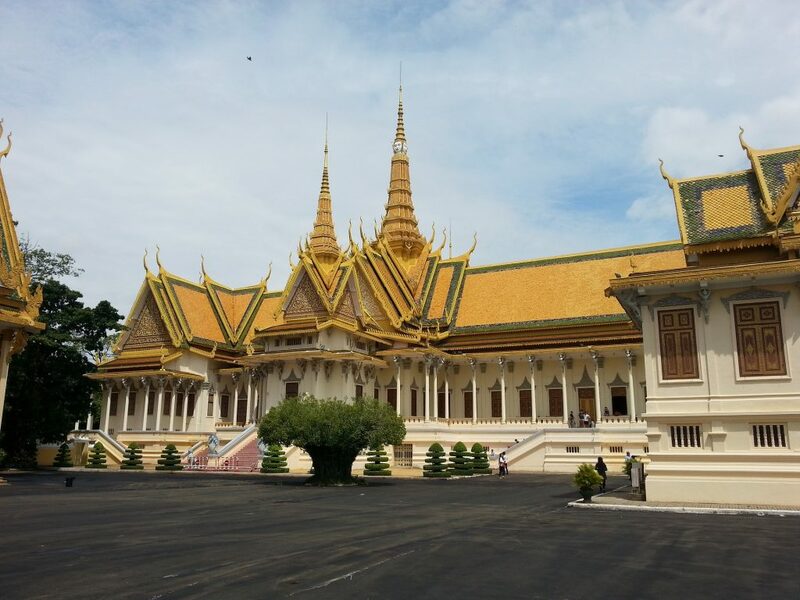 Learn about the history of the city with this specialist Cambodia tours incorporating the historic and cultural sights of Phnom Pehn. See the Genocide Museum and infamous Killing Fields as well as the Tuel Sleng Silver Palace and the Royal Palace. The infamous Prison 21 and the Killing Fields are from a dark time in Cambodian history and this tour is a way to see first hand the areas while hearing stories of the horrors that happened. It is a 4.5-hour tour that includes English commentary and an air-conditioned vehicle. This river cruise takes place on a boat once owned by one of the Cambodian royal family princes and is a great way to see the Mekong and Tonle Sap rivers. Watch the sun set over the city and enjoy a light finger buffet and drinks. See authentic Cambodian music and dance in action with this traditional dance show held in the gardens of the National Museum of Phnom Pehn. Angkor Wat is a world-famous temple complex and one of the largest religious monuments in the world. It was created by the Khmer Empire for the Hindu god Vishnu in the 12th century and is one of the most popular places to visit in Cambodia. Angkor Wat is an amazing site at sunrise and this tour lets you take in that early morning atmosphere while learning about the ancient temple. This tour is with a small group of up to 10 people and includes Ta Prohm, Angkor Thom City and Bayon Temple. Sunset tours are an amazing way to see this most historic temple and the tour includes a 9 hour, full day around the sights. Learn about the history of the Khmer Empire then watch the setting sun from the Pre Rup temple. See the best of the Angkor temples with this full day tour that ends with sunset from the Pre Rup temple. Learn about the architecture and history of the Khmer Empire, the meaning behind the different sculptures on the temples and enjoy an air-conditioned ride to and from the hotel. Siem Reap is a regional capital and the base for tours around the Angkor Wat temples and other sights in the area – it is also known for its floating villages where all the houses and buildings are on stilts! 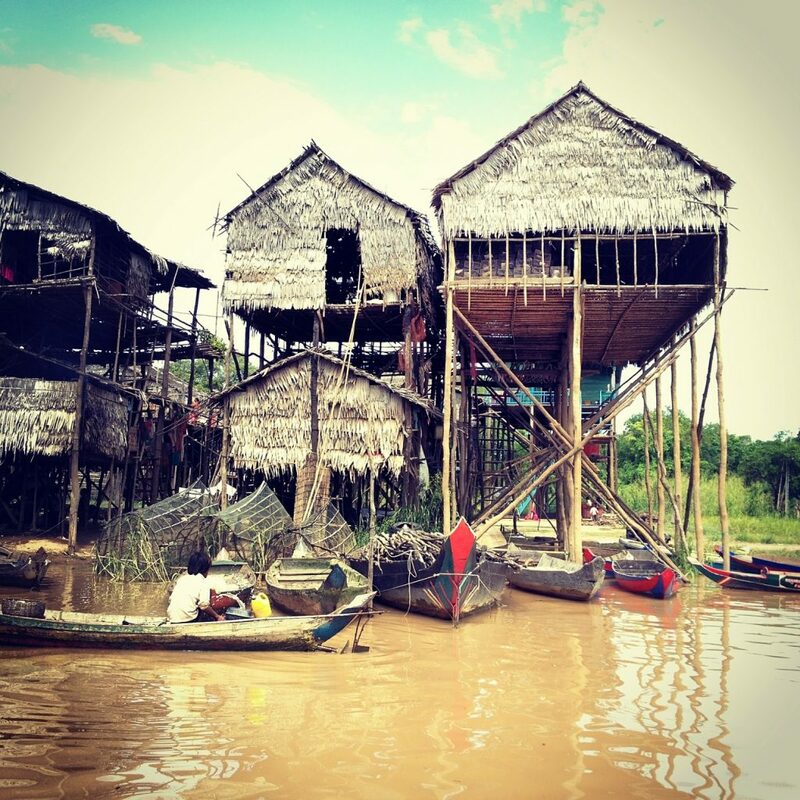 See the amazing floating villages of Tonle Sap in this day-long tour. You can see stilt houses and enjoy lunch with the locals while also seeing the best of the surrounding countryside by bike. It also includes a change to see the local monk’s school and the rice paddies where rice is grown in traditional ways. The floating villages of the Tonle Sap Lake are one of the fascinating sights of Cambodia tours and this simple tour gets you the chance to see them. Learn how people live on the lake and farm rice beside it, see the local wildlife and have a tour around the village itself. This small group tour includes the amazing Khmer temple of Angkor Wat and the Bayon temple, as well as the jungle, covered Ta Prohm. The tour is a brilliant way to get to know the ancient Cambodian civilisation and see these amazing sights. This two-day tour includes the amazing temple of Angkor Wat and the equally stunning Banteay Srei Temple. Spend two days among the temples of the Khmer Empire with their many carved sculptures and learn about the history of the location. This show offers the chance to see traditional art forms of dance, drums and chanting from Cambodian performers, telling original and contemporary stories. It is an uplifting experience performed by empowered women playing traditional Cambodian instruments. Phare is the one hour show that includes the most famous artists of Phare Ponleu Selpak Artistic and Social Centre from Battambang who perform a mixture of music and dance, acrobatics and modern theatre to experience the best of modern Cambodian culture. If you are looking for something relaxing between more active Cambodia tours, this is the perfect option. The two-hour class lets you create a ceramic bowl with Khmer carvings to take home, based on techniques used by local artists. Make the most of the red soil tracks around the Siem Reap area with this 6-hour motorbike tour. See remote temples and traditional villages that are off the normal tourist routes with this Easy Rider motorbike tour. The Queen Tara is the largest boat on the Tonle Sap Lake and is a great way to see the floating villages that dot it, watch the local fishermen in action and enjoy watching the sunset across the water. The four-hour tour includes a meal and unlimited drinks. Phnom Kulen National Park and its famous Kulen Waterfall is a stunning place to visit and this 10-hour tour is a great way to see the best of it. it includes the famous Reclining Buddha and the River a 100 Lingas. This half day tour is a great way to see the famous Tonle Sap lake and its floating villages as well as the many birds that call it home. The tour stops at the villages and then returns to Siem Reap. This half day tour from Phnom Penh to Tonle Bati lets you see the 12th-century temple of Jayaraman VII as well as the Ta Prohm temple and other Khmer structures in the area. It lasts for four hours.